It sounds like something straight out of a horror story. You enter the hospital expecting to undergo one procedure only to find out that you underwent an entirely different and completely unnecessary operation. Injuries incurred by this type of medical negligence will entitle you to compensation for the medical negligence of the hospital, physicians and staff. Depending on the nature of the medical procedure, this error can also be considered medical battery. Performing the wrong surgery on the wrong patient is considered a "never" event in healthcare—meaning that this type of mistake should never occur. Unfortunately, research suggests that as many as 50 of these types of errors occur each week in hospitals throughout the United States. Wrong surgery-wrong patient errors can happen in any medical specialty. However, research suggests these types of malpractice cases are most common when procedures involve internists or orthopedic surgeons. 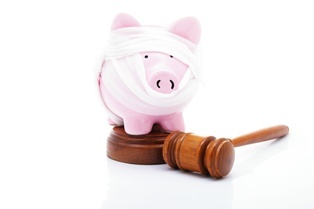 Wrong surgery-wrong patient malpractice cases can result in serious harm. Any surgical procedure carries some degree of risk, which is why parents are required to provide informed consent before an operation. In addition to the physical effects of this type of malpractice, it is important to note that wrong surgery-wrong patient errors can have severe psychological consequences. Victims may suffer from anxiety, depression, or post-traumatic stress disorder as the result of their experience. California law states medical malpractice suits must be filed within one year of the patient discovering the injury or within three years of the date the injury occurred—whichever comes first. If you miss the deadline to file, you lose your right to compensation. California also requires the patient to provide a 90 day notice of the patient’s intention to sue the doctor or hospital before commencing suit. This notice is intended to allow the healthcare provider to resolve the claim prior to the patient filing suit. Duty. Your surgeon had a duty of care or doctor-patient relationship with you. Breach of Duty. Your surgeon failed to deliver care that is consistent with recognized medical standards for his or her specialty. Damages. You experienced harm or medical complications due to the incorrect surgical procedure that you received. Causation. Your damages are directly related to the surgeon's actions. Malpractice law is very complex, even in cases which seem like the evidence of wrongdoing is clear-cut. Retaining legal representation from an experienced medical malpractice attorney is always the best way to ensure that you protect your rights. Your attorney can line up the necessary documentation of your claim, can perform the research necessary, identify the damages, locate relevant expert testimony, and negotiate with the malpractice insurance carrier on your behalf. In most cases, a malpractice attorney can settle the case without the need to go to trial, but to do so, the case must be properly worked up and the doctor must be convinced he or she committed medical negligence. Inland Empire Law group's team of experienced medical malpractice attorneys have helped many California residents receive the compensation they deserve after being harmed by a healthcare provider's negligence. Call (888) 694-3529 today to schedule a free, no-obligation consultation to review your potential claim. Due to the shorter statute of limitation, you must act promptly.